•	Graduated in Performing Arts from “Institut del teatre de la Diputació de Barcelona” 1989. •	Studies in Performing Arts from “Josep Ixart” School. Tarragona. 1983/84/85. •	Directorial Workshop. Avner Eisenberg. London, GB. January 2005. •	Eccentric Performing Workshop. Maine, EUA. Avner Eisenberg and Julie Goell. August 2003. •	Workshop on magic for clowns. Màgic Andreu. July 2003. •	Angela de Castro. Curse on Clown techniques. May 2001. •	Moshe Cohen. Curse on Clown techniques. June 2000. •	John Wright. Phisical theatre. The Clown and Shakespeare. April 2000. •	Roberto Ciulli. Seminar on clown. Bogotá. Colombia. April 1998. •	Ohirulari clown. Virgina Imaz. Pais Vasc. Several courses on clown thecniques. 94/95/96. •	Roy Bosier. Comical actor. September 1990. •	Stage internacional of theater. Paris. Ariane Mnouchkine. Theâtre du Soleil. April 1988. • Expedition with “Pallassos sense Fronteres” the refugee camps in Jordan. August 2010. 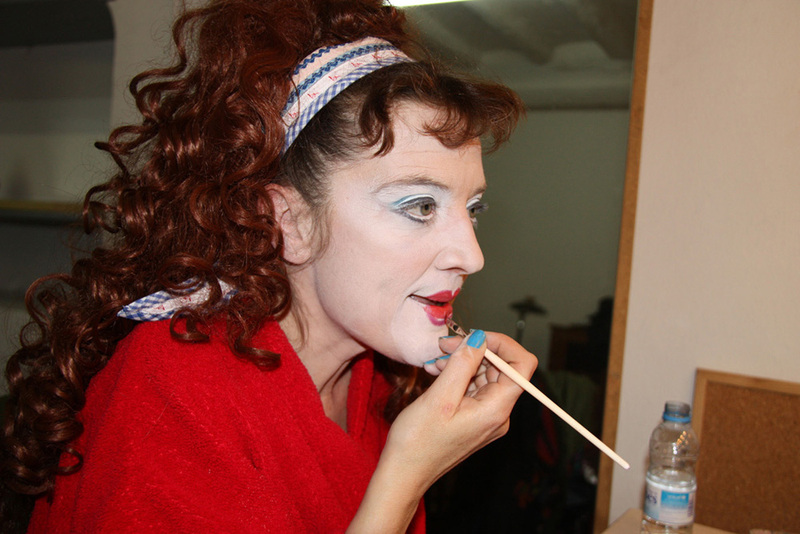 • Artistic Direction of the “IV International Festival of Female Clowns of Andorra la vella.” May-June 2007. • Artistic Direction of the “III International Festival of Female Clowns of Andorra la vella.” April 2005. • Premiere of “Hatzàrdia” the Fortuny Theatre under the Fair Circus Trapeze-2004. May 12, 2004. • Artistic Direction of the “II International Festival of Female Clowns of Andorra la vella.” May 2003. • Direction clown show “An-danda-ra” of the company “An-danda-ra”. Released in April 2003. • Issue with Clowns Without Borders in Chimaltenango (Guatemala). Training courses. July / August 2002. • Clowns Without Borders expedition to Equatorial Guinea. Training and performances in Bata and Malabo for three weeks. Summer 2001. • Artistic Direction of the “1st International Festival of Female Clowns of Andorra la vella.” May 2001. • Season premiere of “Giulietta” Sala Muntaner in Barcelona. February – March 2001. 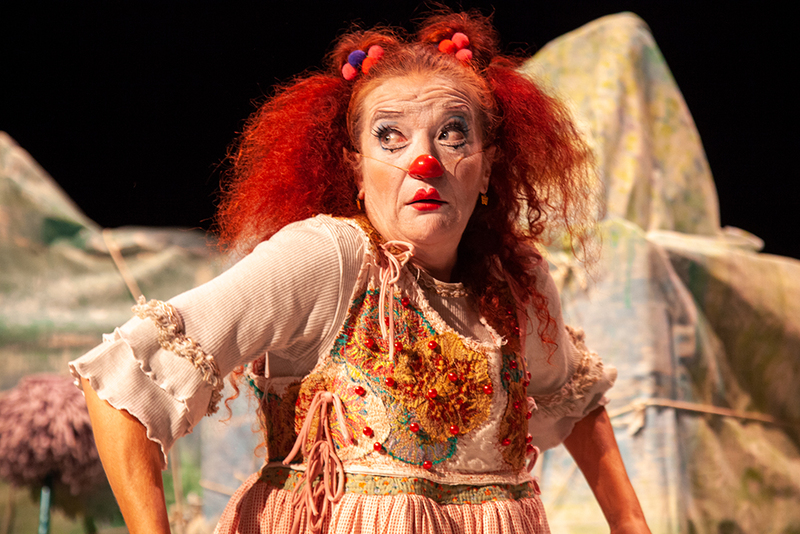 • Premiere of “Giulietta” the IX International Clown Festival Cornellà. October 2000. • Issue with Clowns Without Borders in El Salvador. Training for the “clowns of the Street” and students from the country for six weeks. Summer 2000. • Creation of “Cia. Pepa Plana. “Premiere of “De pe a pa”. Fair Tàrrega’98. • Actress and assistant director of “Street Parade” Turkish Company “Sandimay.” Directive. Quique Alcantara. Rotate the years 97/98 to: France, Germany, Belgium, the Netherlands and Colombia. • Actress-founder of the company “Pretèrit Perfecte” 1992.